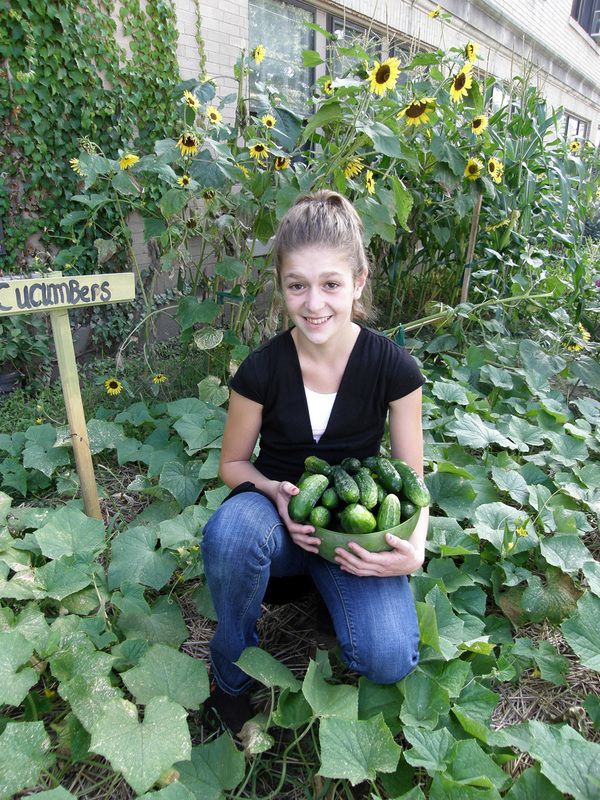 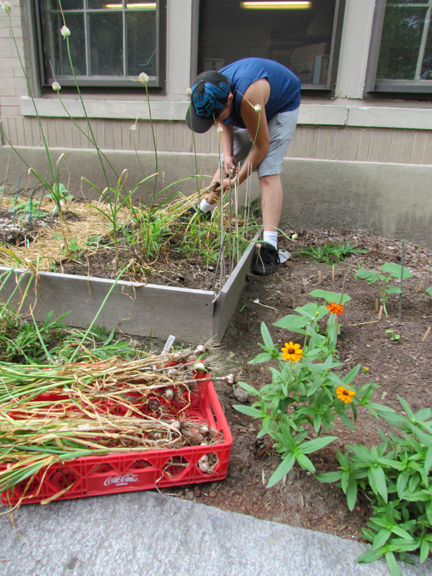 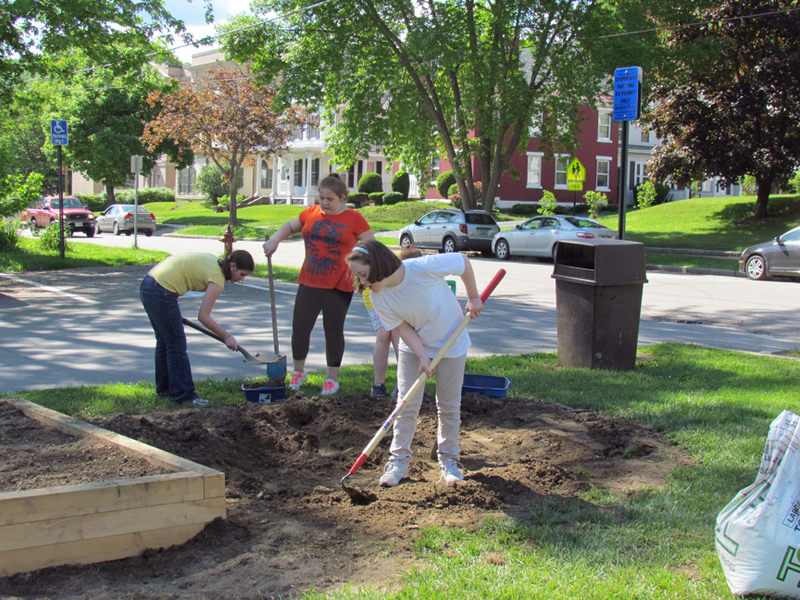 Students prepared raised beds at Hetty Green Park to keep the Middle School garden growing during renovations. 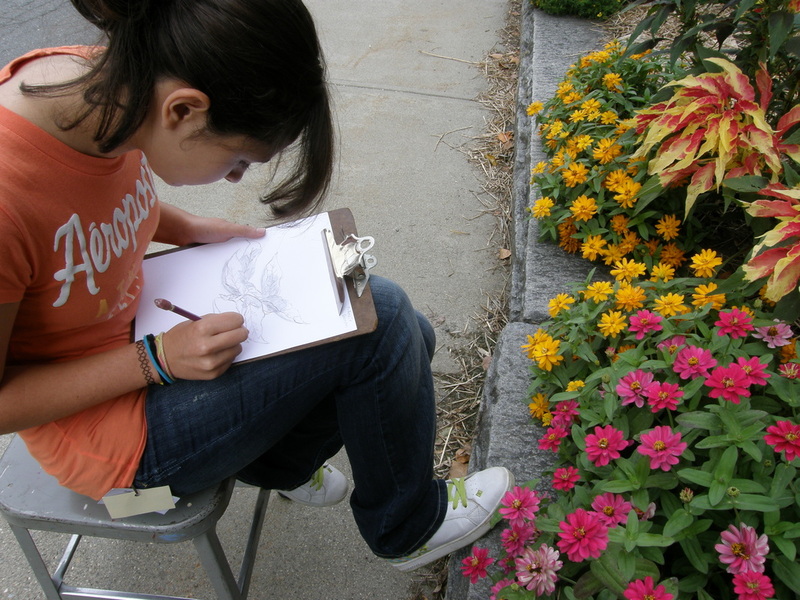 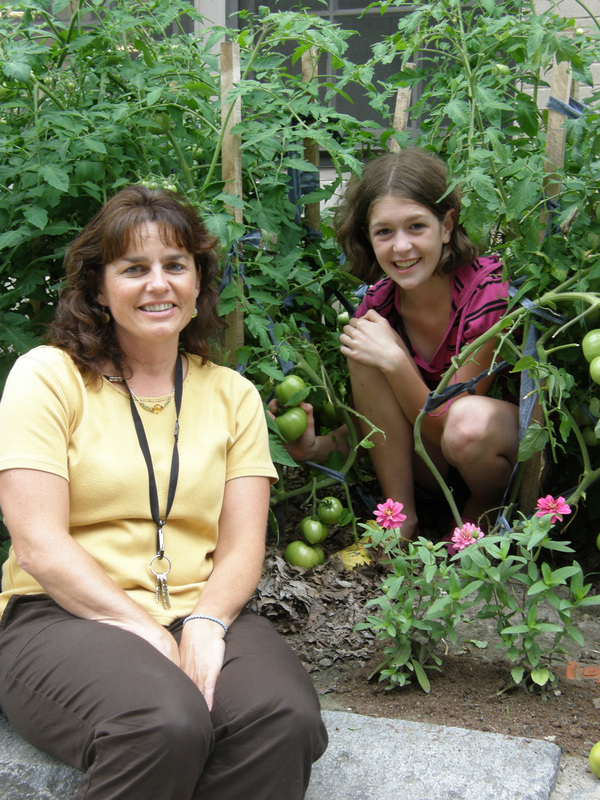 In 2011 the Middle School received a grant from Burlington Gardens. 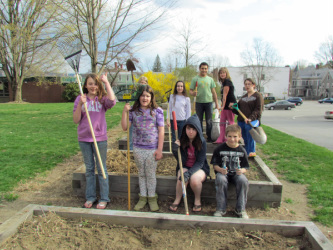 Money was granted to purchase tools, hose, garden shed, garden cart and materials for 3 raised beds. 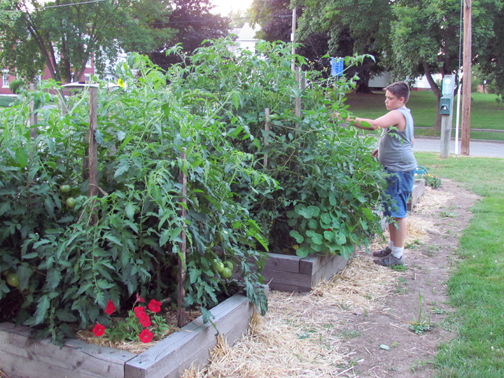 Casey Haskell, Wylee and Ozzee Haskell, Nic and Reno Tuttle, and Ralph Straub donated many hours of labor to cut the timbers and build the raised beds. 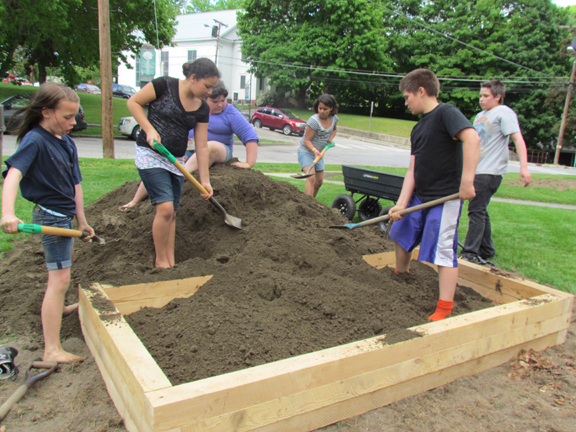 Ralph moved 4 yards of compost with the help of the students. 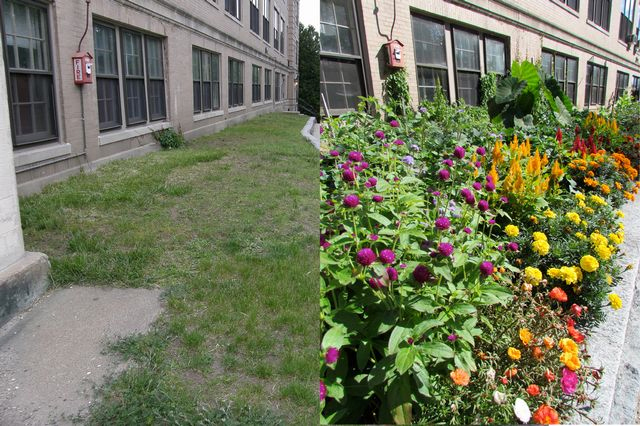 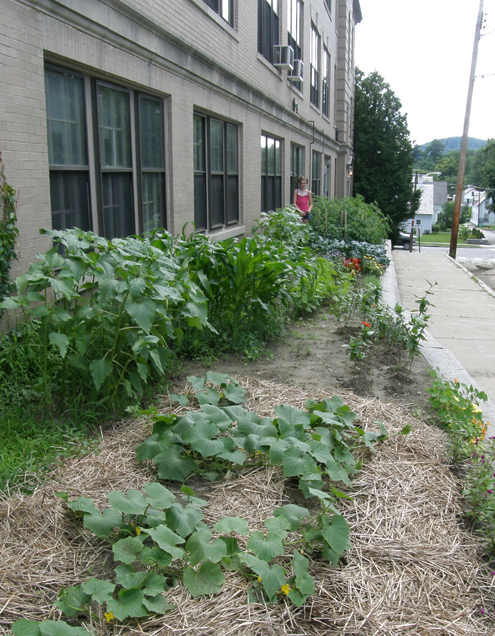 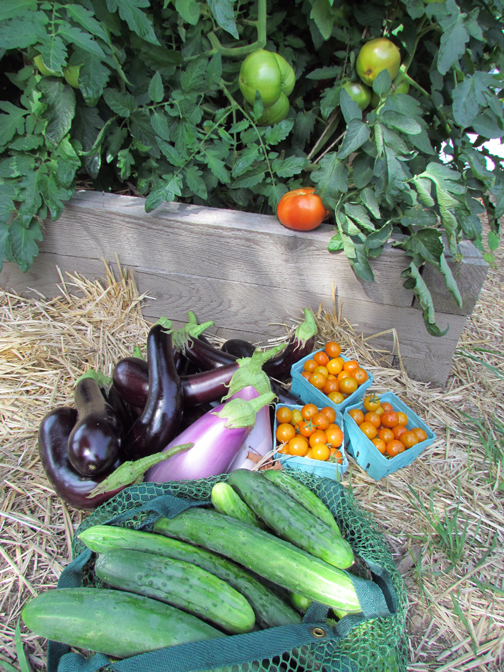 All this work resulted in a bountiful garden shared with the cafeteria and with students to take home. 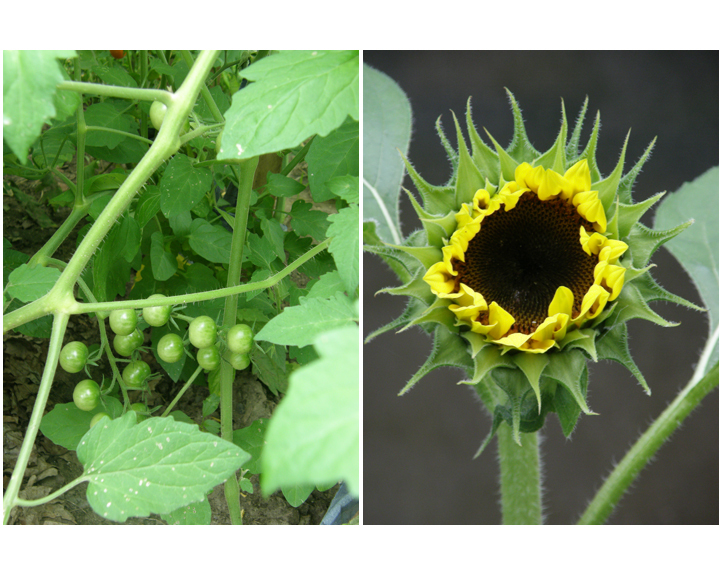 Cherry tomatoes and sunflowers filled the garden. 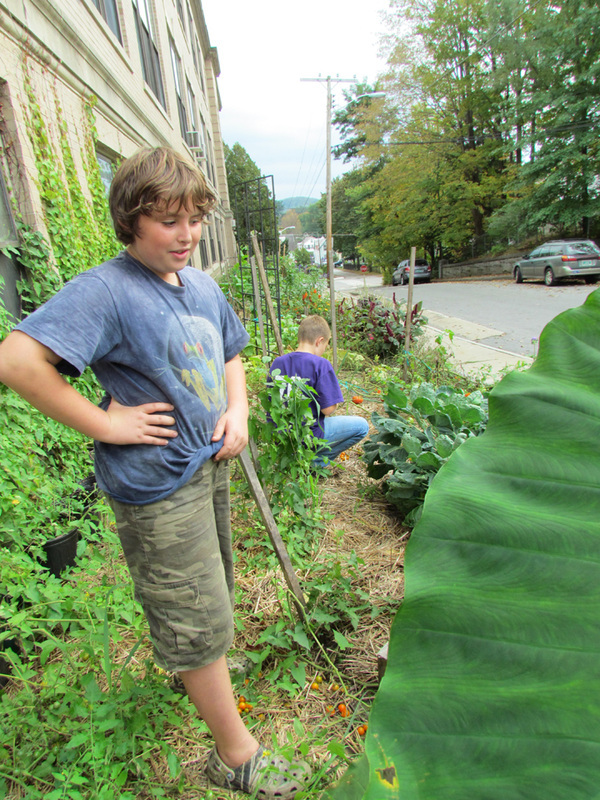 Wylee and Ethan doing fall chores in the garden.